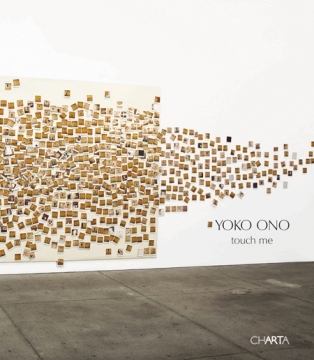 In touch me, Yoko Ono will present an interactive painting, film, conceptual photography and sculptures that comment on different facets of the female experience, calling upon the viewers to make direct and deeply personal connections. 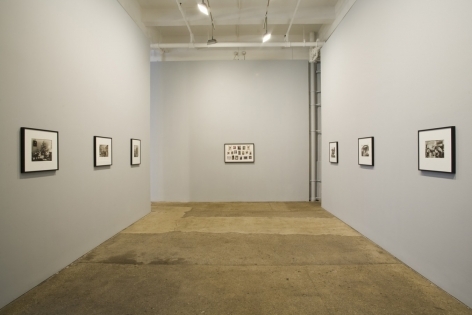 Ono’s first New York exhibition since Odyssey of a Cockroach at Deitch Projects in 2003, touch me affords the audience an opportunity to experience her work in a new way. 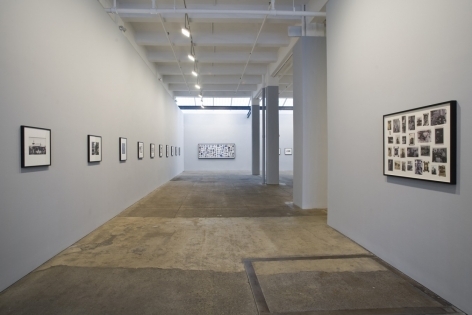 The exhibition will open to the public at Galerie Lelong on Friday, April 18, from 6 to 8 pm. For over 40 years, Yoko Ono’s works have defied categorization, existing in the interstices between performance, music, objects and film. 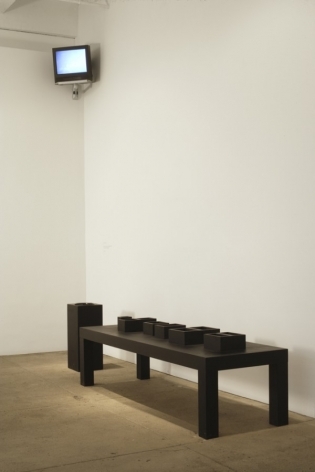 As one of the first conceptual artists, and one of the founders of Fluxus—an association of experimental, interdisciplinary artists and writers in the ‘60s and ‘70s—Ono is cited as a major influence on contemporary artists. 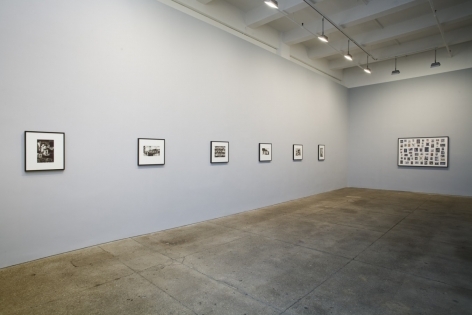 She has redefined the boundaries between various movements: conceptual art, performance art, feminist art, and more. Many of her actions have bridged the distance between art and audience participation—which has always been a hallmark of Ono’s work. 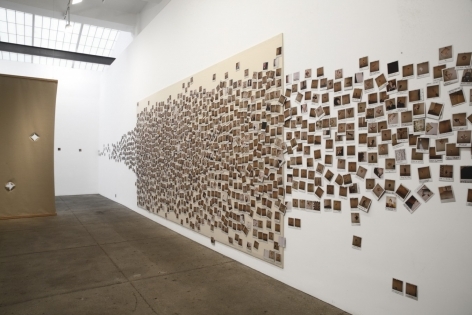 A participatory element is central in touch me, in which Ono urges the audience to revitalize and rethink a personal connection to the most current situation women are facing. The centerpiece of the exhibition will be a large canvas covering the entire width of the gallery. 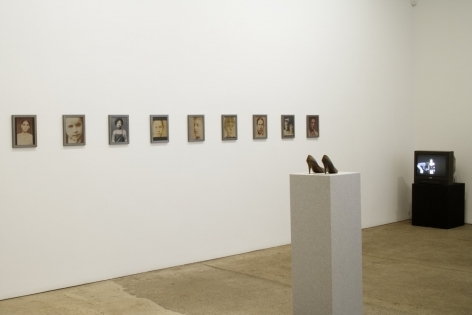 Openings will be cut into the canvas, and viewers are invited to insert body parts through. Encompassed in this simple act are opposing elements of isolation, exposure, vulnerability, and defiance. 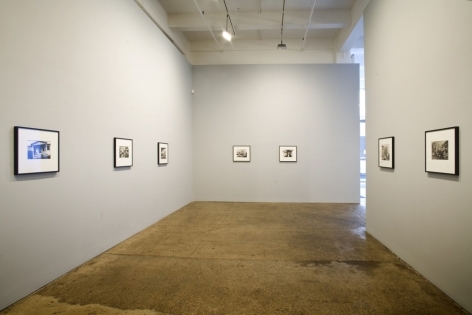 The viewer will have the option to photograph themselves with supplied cameras; these photos will be displayed together on another canvas with the participant's own comments and thoughts written underneath the photos, furthering the inclusive nature of this new work. Complementing this contemporary work will be Vertical Memory, in which a composite of a male face—combining Ono’s father, husband and son—is contrasted with the artist’s succinct and moving texts describing her passage from birth to death. Also on view will be Memory Paintings, intimate 19th-century portraits of women; and a sculpture from the series “Family Album (Blood Objects),” representing her mother. 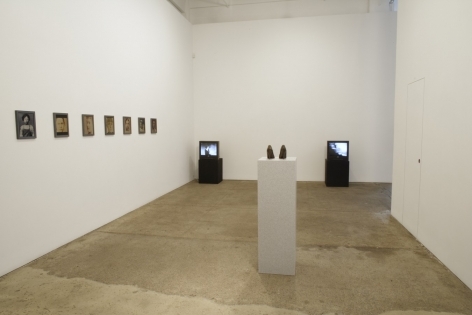 Sky TV will serve as an anchor of hopefulness to the entire exhibition touch me. 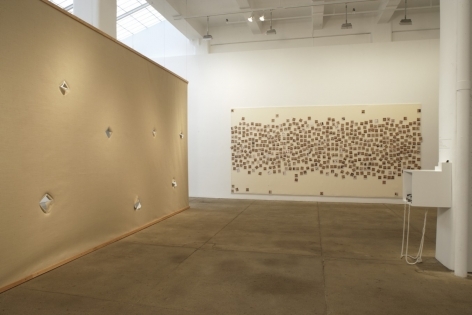 In addition to having received the College Art Association’s 2008 Distinguished Body of Work Award, she is also the recipient of the 2002 Skowhegan Medal for Assorted Mediums. Solo exhibitions have recently been presented at the Centro Cultural Banco do Brasil (Sao Paulo), Kunsthalle Bremen, Berkeley Art Museum, Museo di Santa Caterina (Treviso, Italy), and Portikus im Leinwandhaus (Frankfurt), among other venues. She is featured in WACK! 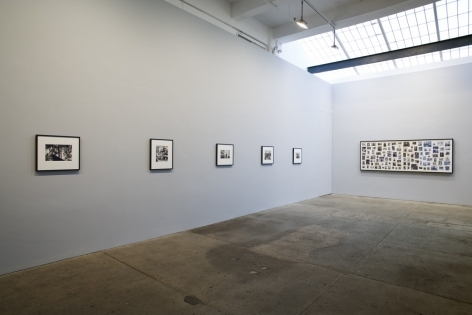 Art and the Feminist Revolution, organized by the Museum of Contemporary Art, Los Angeles, and currently on view at P.S.1 Contemporary Art Center, New York. 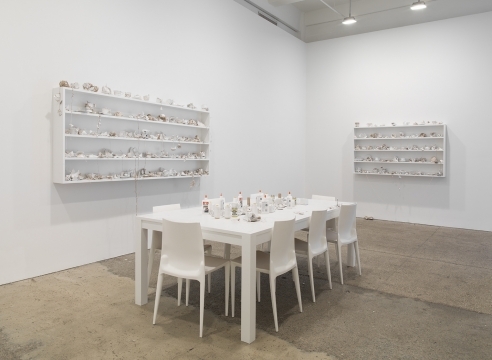 This August, the Kunsthalle Bielefeld will present a solo exhibition of Ono’s work, entitled Last Supper.